Soon, World of Tanks will receive a small update that will introduce changes to Shop 2.0 and solve several problems, according to rykoszet. 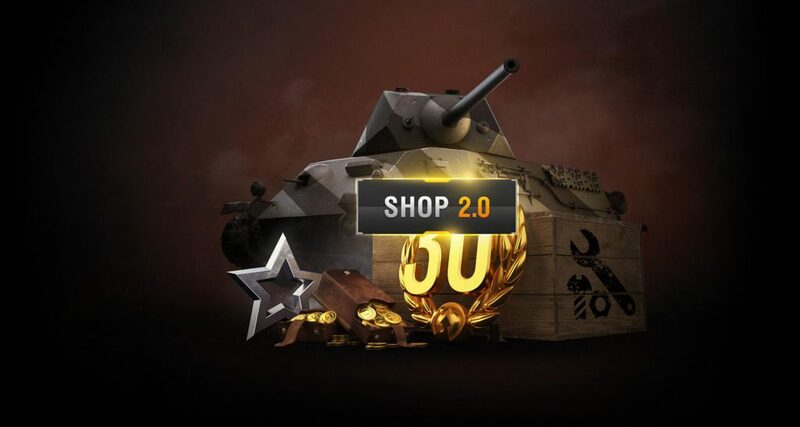 On August 20th, the World of Tanks shop changed: initially, only its appearance was changed. Before the release of the shop, it was planned to expand the list of functionalities, but the implementation of too many ideas at once could significantly complicate the mechanics and adversely affect stability. That’s why it was decided to choose simplicity and reliability by implementing only the basic set of functions and expanding it in subsequent versions. Now that basic functions are available, WG intends to add some new features to the Shop, including a premium and rare vehicle recovery system. In order to recover the premium vehicles that were sold, you will be able to go to the “Vehichles in garage” section of the store and open the Recovery tab , where you will see a list of vehicles that can be recovered as well as the information that you need. If you have such vehicles, you will have access to the recovery menu from the garage. The number of vehicles that can be recovered will be displayed in the bottom-screen list of tanks (carousel), next to the “Buy a vehicle/buy garage slot” box. In turn, rare vehicles can be restored from the Depot level. This is the first of several changes that will expand the functionality of Shop 2.0. Whoever the project manager in charge may be, who is responsible for prioritizing development tasks at WG, is a completely retarded idiot! only recently sold or including tanks that were sold long before? i hope they add the ability to filter standard tanks in the store back in. it used to be if you wanted to see all the tier 10 mediums you could buy you could just click tier 10 then tank class as medium and thats it done you could see all the tier 10 mediums youve unlocked but they took that out with store 2.0. The could bring back the possibility to stock up on ammo. New store only lets you sell ammo you have. I sold the premium T34 2-3 years ago. I hope they will made it recoverable after this long time. Because i did a mistake…. I wonder how far will this recovery go back. I would love to buy back some old prems I sold, like the M3 Light. Damn, selling it was a mistake. After they start buffing the power creep “classics” I imagine there will be a spike in people wanting them back. Makes me wonder if they will buff the rebuy price as well, you know to compensate for you getting a buffed tank.